Ceiling Solutions That Bring Color and Comfort to Your Spaces. 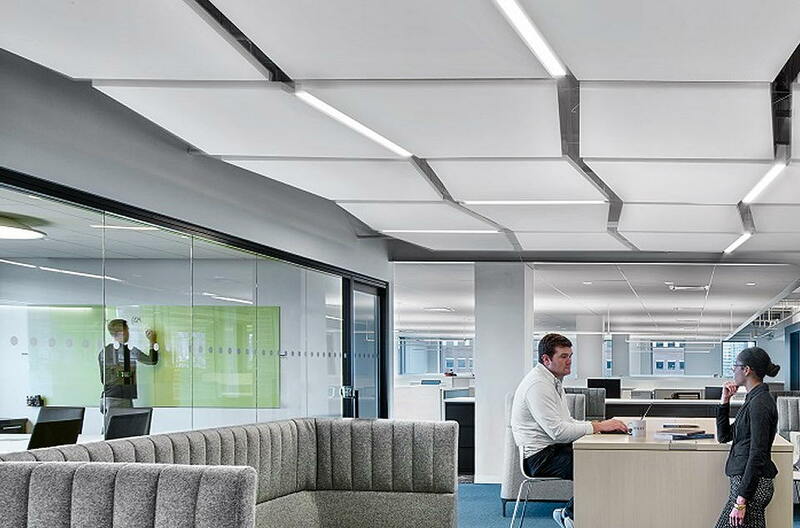 We carry a full line of acoustical ceiling products by CertainTeed including fire-rated, seismic, and dimensional grid options. Try our free ceiling panel calculator and even send the result to us for a full quote! 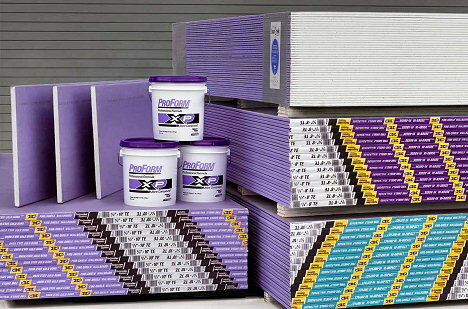 With top brand names like Georgia Pacific, National Gypsum, USG, Continental, Quiet Rock and CertainTeed, we can provide you with the exact gypsum board product that you need for your project. Have a special shape, or need it made out of stainless steel, or aluminum? 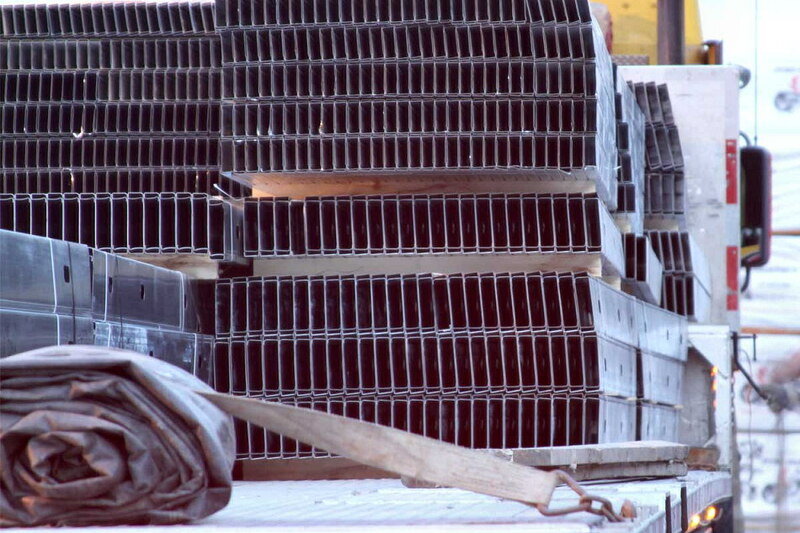 When it comes to those job specific metal special shaped products, we can help or direct you to a number of engineers specializing in the field of metal stud framing. 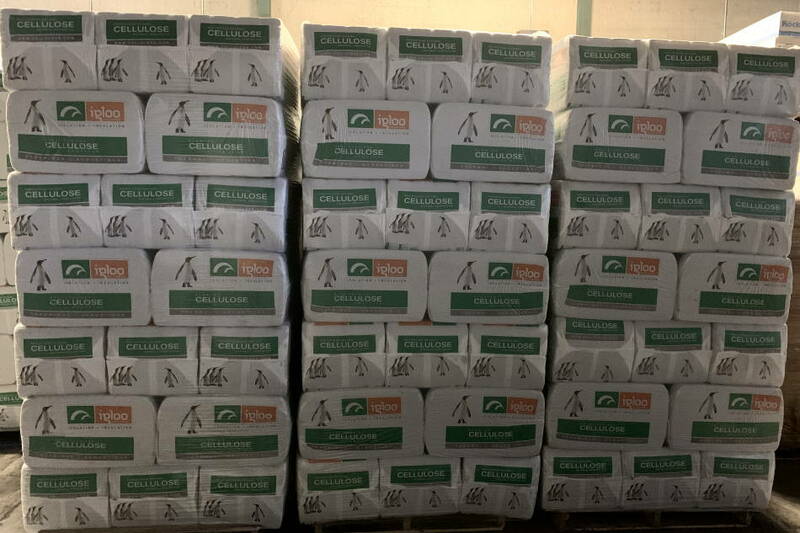 We've partnered with a number of insulation manufacturers such as John Manville, RMax, Carlisle, Hunter, Igloo, Knauf, ADO, Atlas, TVM, Rockwool, Dow and many more. These partnershipships allows us to pass on significant savings to our customers, ensuring you'll get a competitive price. 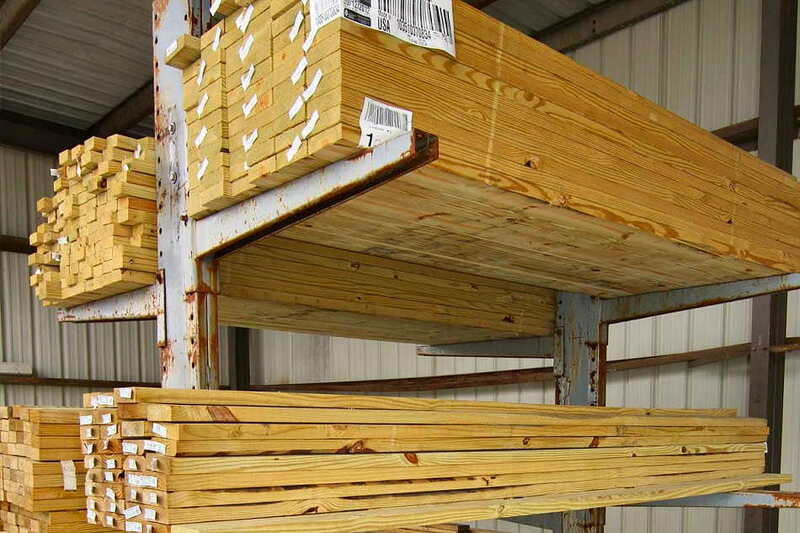 We carry a large variety of top quality lumber and plywood, both treated and untreated in various sizes. 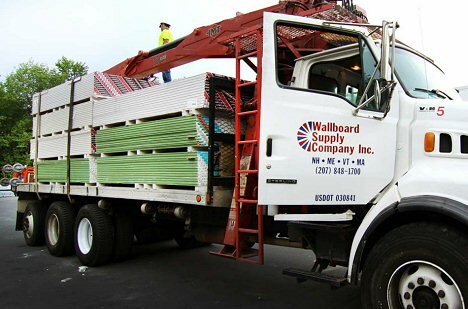 Wallboard Supply Co is FSC® Certified, and can fill all your FSC® lumber requirements. Kiln dried, fire treated, CDX, Pressure treated, and complete engineered wood floor and truss systems. 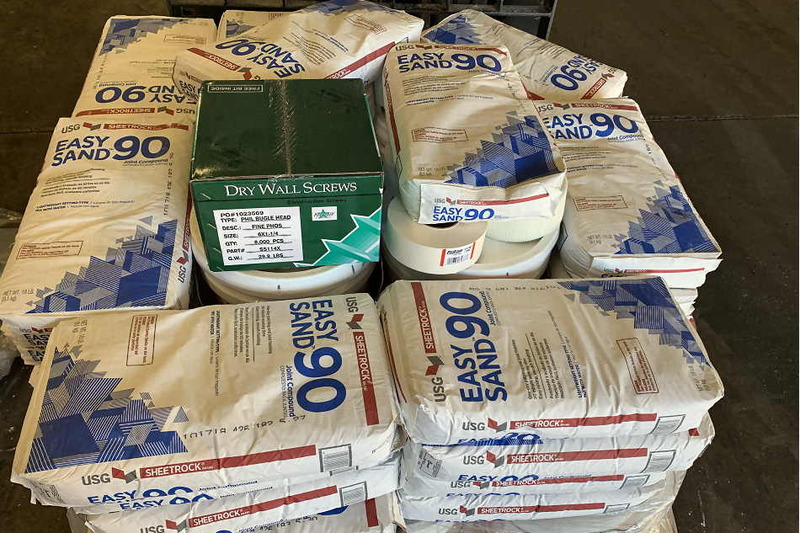 WSC carries a full line of interior and exterior buidling supplies, including windows, siding, trim, roofing, fiberglass panels, frames and hardware. Contact us today for more information on our products and services, to receive a quote or to order building supplies. With locations in Maine, New Hampshire, Massachusetts and Vermont, our delivery trucks deliver up to 200 miles from any of our locations, up to 110ft high. 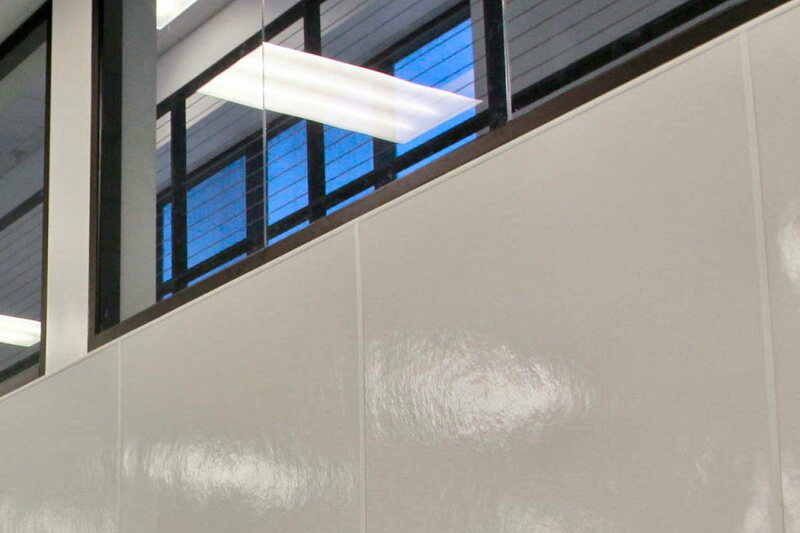 Whether you are renovating a room, building a house, or working on a large commercial project, WSC works directly with you to ensure you receive the best products & service. Browse our product catalog, use our online calculators, and build a quote for your project. Need help? Just call one of knowledgeable staff at your closest location. 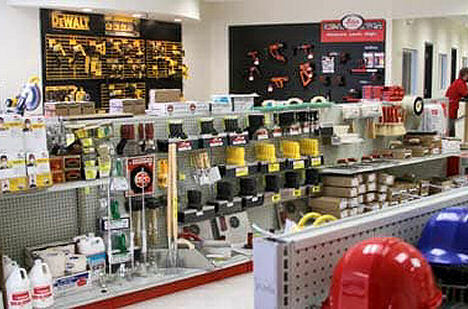 If you need building materials & supplies you have come to the right place. We offer full-service delivery up to 110 feet, and we have a fully staffed yard if you desire to pick up your materials at one of our locations in New England. * Use the map to the left for hours and contact numbers by clicking the star icon of the desired location. Once selected, Click "Get Directions" at top of Map for directions.